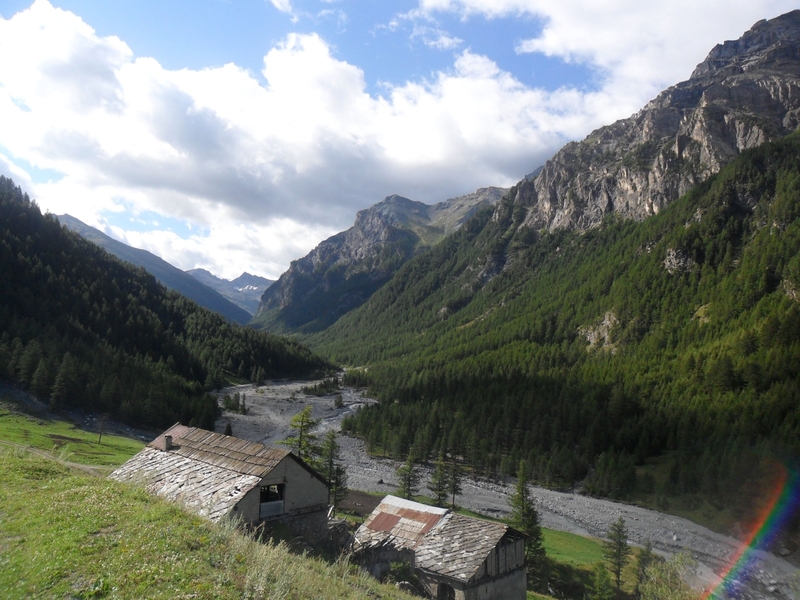 Local walking and hiking in one of Italy's most beautiful nature reserves - The Val Troncea National Park, with its entrance 2 minutes from the lodge. It caters for all standards of walker and hiker and there are a variety of restaurants in and around the National Park. Road mountain cycling (along the local route of the Giro d'Italia and the 'Tour de France') and mountain biking within the National Park - see above. Within 2 mins walk of the lodge is the first tee of a challenging 9 hole golf course. Driving range and lessons available. 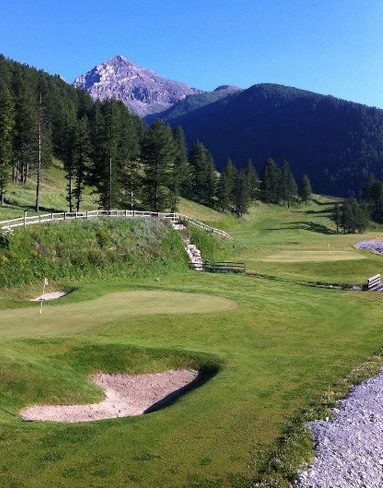 Within easy reach there is an 18 hole golf course at Sestriere and another challenging golf course at Claviere. Local clay court at Pragelato with bar and pizzeria attached. More extensive tennis facilities available at Sestriere. Sestriere plays host to a number of classic car rallies and exhibitions during the summer season, including the famous MonteCarlo to Sestriere veteran car rally. Apart from enjoying the local wine, Piedmont is home to two of the worlds most famous wines, Barolo and Barbaresco. Wine tasting and private tours of the various vineyards can be arranged and for the enthusiastic there are also grappa distilleries in the area. 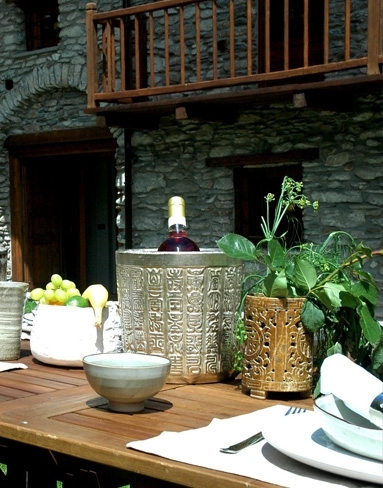 Apart from those restaurants that are walking distance from the lodge, there are, in nearby hamlets and villages, a multitude of diverse restaurants, including mountain restaurants that stay open during the summer vacation. The pursuit of these, by foot or by car, can provide many an interesting day's activity. Local villages have their own summer festivals at different weekends through the summer. Many are within only a few minutes travelling distance and most have a delightful local trattoria. Sestriere has varied shopping and nightlife, Cesana Torinese is a lovely town on a river with a sophisticated cobbled shopping street, Pinerolo is a beautiful old Cavourese town and has the major market of the area on Wednesdays and has some good restaurants, including the world renowned 'Eataly' that has sister restaurants in New York and Tokyo. The road to Pinerolo passes by the historic Fenestrelle fort (Europe's largest military fortification and second only to the Great Wall of China. There are walking tours to the summit). Briancon, accross the border in France is a delightful walled city which holds an annual summer medieval festival and has a variety of restaurants where you can get the typical french specialities. Turin, capital city of Piedmont, on the river Po, is well worth a trip - wonderful architecture, art galleries, antique shops and designer shopping as you would expect from an international city. 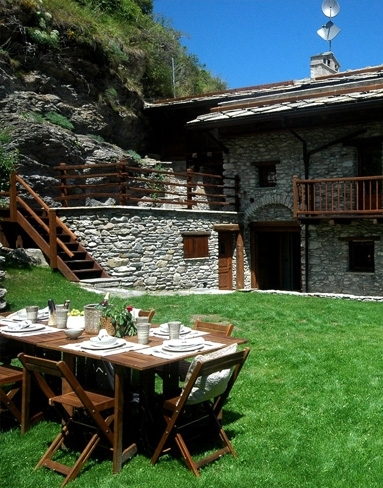 Villaggio kinka -pragelato offers a combination of adventure and sporting activities for teenagers down to the very young. swimming, go karting, tennis, trampolining, mini golf, horse riding, rock climbing, football, volleyball and archery and including an extensive play facility and a chalet restaurant/bar. (5 minute drive or a delightful 30 min walk along the river from the lodge). Similar facilities are available in the summer at other local ski centres.